After our brief interruptions plugging the “Secret Friends of ‘Ringo!” it’s back to the old grab bag and this weeks revelation: Sgt. Rock #14. Don’t be fooled by the low number. It’s a reprint book from the 90s. Now, I’m as big a fan of Joe Kubert as anyone but, I was never a fan of war books. 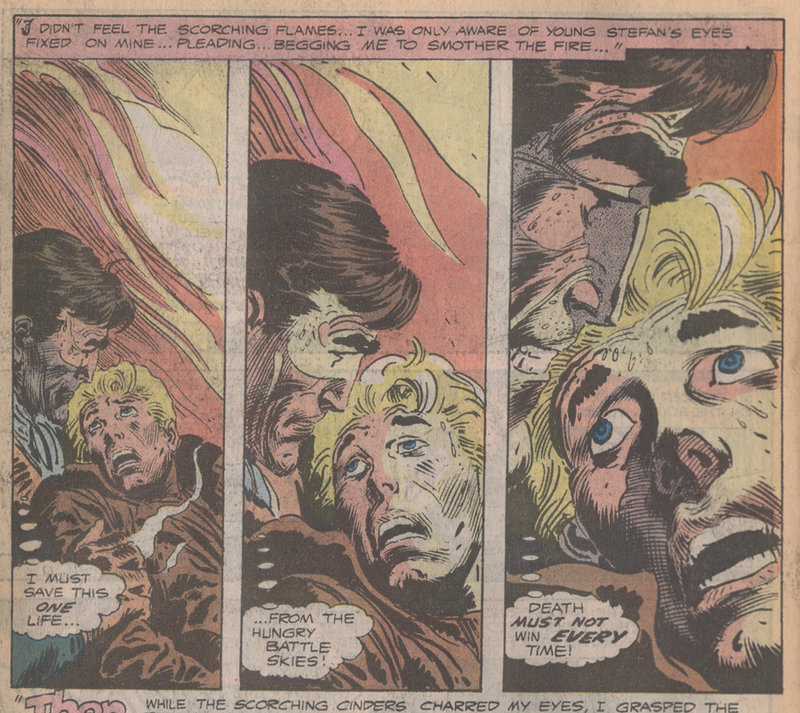 Maybe I picked it up for the backup story... no, I never picked up a book for Jerry Grandenetti... Then it hits me, as I backtrack through the book, that underneath the Kubert inks on the Enemy Ace story sandwiched in the middle is the work of Neal Adams! I don’t know if Neal is working loose or aping Kubert but, there are spots where it looks like pure Joe, and others where it’s obviously Neal. It’s not classic Swanderson or Kirby/Sinnott but it’s an interesting experiment. Enemy Ace.